The First Commandment is probably the one of the ten that we worry about the least. “I am the Lord your God. You shall have no other gods before me.” After all, most of us haven’t spent time worshiping any of the Roman or Egyptian gods recently or paid homage to any pagan spirits. 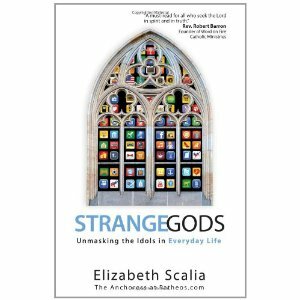 In Strange Gods: Unmasking the Idols in Everyday Life, Elizabeth Scalia, also known by her internet moniker “The Anchoress,” invites us to take a closer look at this long-neglected commandment and discover the ways we practicing Christians violate it on a daily basis.